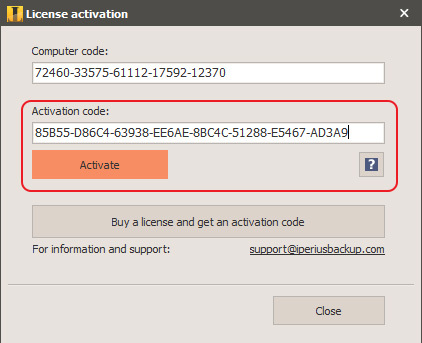 This brief tutorial explains how to activate Iperius Backup after you bought a commercial license. This activation type will enable all the features of the purchased license. 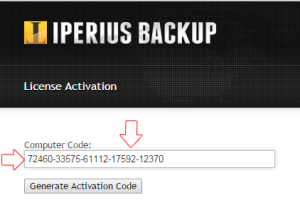 All Iperius licenses are perpetual (updates and support are free and included) and valid for a single computer/server. 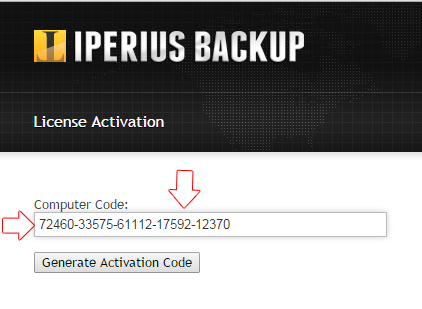 If you need to move Iperius to a different machine, or if you need to reinstall it for any reason, send us a simple request by email, specifying the new Computer Code and the license to be modified if you have more than one. You can contact the Iperius Backup Team, also for support or for any question, from this page. Purchased the product. I can not activate it. The activation button is missing from the free version I downloaded. Uninstalled and tried a second time still the same. most probably because you already actevated the trial version for 21 days. Simply deactivate the trial version from the “Tools” menu. 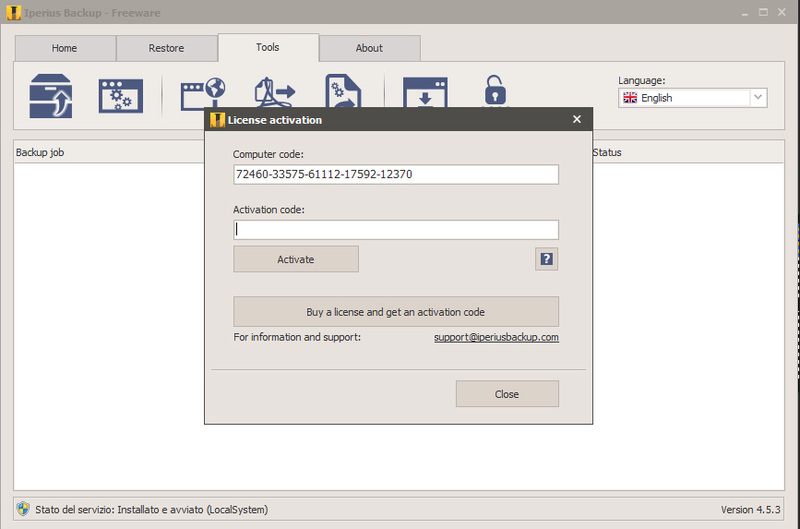 Then the activation window will be visible again. 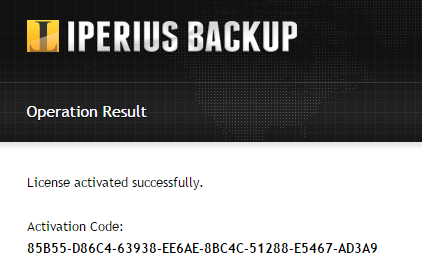 I downloaded the full version of Iperius for testing inside the corporation where I work. Today, we use Arcserve Backup and we need to update the version so there is a need to check other companies have the backup software. In an Internet consultation, I found you. The evaluation license is due to expire within 2 days. You can go to your Reserved Area, in your License List, click on ‘Change / Regenerate Code’ and enter the new computer code following the instructions on the webpage.